Crime has reached unprecedented levels and conventional approaches to prevent it simply don’t meet the challenges anymore. When violent crime is involved, post-event analysis is not enough, and proactive prevention is a necessity. When criminals have high levels of funding, simple scare tactics do not work. When justice systems are sophisticated, evidence must be secured properly. 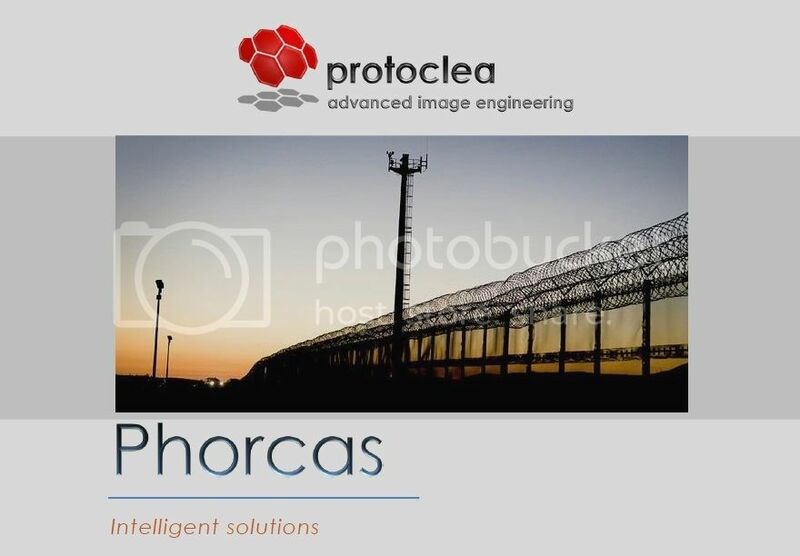 The Phorcas system is a sophisticated security information system designed to integrate multiple sub-systems in a powerful crime fighting solution. By integrating information from all available systems, performing contextual analysis using present as well as historical data, crime can be effectively prevented. Where prevention was not possible, Phorcas offers sophisticated tools to assist active incident management, dealing effectively with incidents. When the justice system requires it Phorcas offers efficient abilities to find and present evidence. Phorcas consists primarily of a Central Control System (CCS) which links all sub-systems’ event outputs together. Here information is processed and evaluated against user generated Operating Procedures. Based on the user requirements Phorcas will initiate events such as closing doors, raising alarm, change visual views to focus on incidents, contact security staff and/or management and so on. All events are logged into a database for historical analysis. Every event is analysed and, depending on configuration, is dealt with either on its own or as a combination of other events. Analysis can also be against previously detected patterns and data mining techniques can be used to detect trends in the captured event list. In addition to the CCS the system offers Intelligent Viewing Displays (IVD) which are designed to give the operator a comprehensive situational picture of the protected area. This includes displays of camera views, maps of the area, activity on the site and so on. Powerful image enhancement tools allow the operator to improve his sight by image enhancement, direct camera control, controlling site equipment such as lights and so on. Immediate access to recording allows for verification of events. The video information extraction system is supported by Nobilis, a powerful Video Analytic system. Using sophisticated analysis events can be extracted from video feeds. These include detection techniques such as movement, behaviour, loitering as well as recognition techniques such as shape and colour recognition, facial recognition and number plate recognition. Other sub-systems feed their event outputs directly to the CCS. These include perimeter alarms, fire alarms, access alarms and so on. It is designed to integrate the various parts of a security solution such as cameras, video recorders, fire detection systems, perimeter protection systems, access control systems amongst others. The system is capable of providing all the basic building blocks required in a PSIM system such as Video Management, Evidence Management, Peripheral Management, Health Management as some of the most important ones. The Phorcas system is supported by its sibling, Nobilis, a sophisticated Video Analytic system. This system is designed to offer video analytics under the most severe conditions and can operate on mega-pixel and normal cameras alike. The future is not about one size fits all solutions – it is about using systems that work. Phorcas has a unique information management capability to deal with events proactively. This is done through comprehensive analysis of the past and active detection of the present. Instead of only relying on instinctive reactions which could cost resources and are prone to deception, Phorcas offers an intelligent cognitive reaction capability which offers reaction proportional to the threat. This is achieved by the combined analysis of sensors to corroborate one another, the creation of superior visual presentation and the ability to deal with events successfully. Phorcas Intelligent Visual Display (IVD) is the only system specifically designed to enhance the incident management experience. It is uniquely variable to highlight important events and offers a superior set of tools to assist the operator; from visual enhancement tools to lighting control and camera controls. In addition, the unit offers full access to video recordings, includes an electronic Observation Book as well as an integrated graphics mapping system which is fully geo-referenced for accurate location display of tracked objects such as vehicles. Any complex system suffers from possible failures in one or more of its sub-systems. The Argia health management system continuously monitor all subsystems and will raise alarms whenever any system fails. It can even detect potential failures as well as deliberate attempts to move cameras or change their focus. In today’s world security cannot be treated like the mere placement of sensors. With complex scenarios it is imperative to have intelligent systems capable of dealing with the scenarios effectively. Information Management coupled to the powerful modern sensors and processing capability is the only way forward.